Spring time moves along and this weekend we celebrated Easter. In Copey, this last week was the celebration of Holy Week or “Semana Santa”. Schools were closed and the country spent the week celebrating with parades and other festivities. For most Costa Rican families, they gather and enjoy special meals, comply with the Catholic practice of not eating meat on Fridays during Lent. Instead, seafood is traditionally consumed including ceviche, rice and shrimp, fried fish and a variety of desserts. One of the more disturbing facts about Holy Week in Costa Rica is the death rate among young people who find various ways of celebrating that turn tragic. As of today, I do not have the most recent statistics look but over the past couple years, weekend fatalities exceeded 20 or more deaths related to drinking and partying by young people around the beaches. As promised, the deliberation regarding the decision to move forward from Stage 1 to Stage 2 is completed. I hope I speak on behalf of many “Friends of Copey” today as I announce our decision to move forward. Stage 2 is an even more important stage because this reflects a major commitment to finalize a funding request package and begin seeking interested donors to help pay for this project. Today’s schedule looks like the following: First, there is a preliminary approval needed before we can officially start this project. If approved, the official start date for seeking donations will begin in August/September 2017. If funding efforts are successful by early 2018, ground breaking will be planned for late 2018 or early 2019. Over the next few weeks, I will provide more detailed reports on our initials steps, on the building design, projected costs, planned usage of the facility, and fundraising efforts. “Friends of Copey” will encounter significant challenges regarding our “faith”. Looking back over the four plus years we have supported the Copey Learning Center, so much has been achieved mostly because we applied our “faith” in the use of our efforts. As “Friends” we first believe it can be done…then we witness it being done. We have an opportunity to build a new facility in a small community which will have the potential to educate children in ways not even imaginable a few years ago. We have the secondary opportunity to educate and improve the lives of adults residing in Copey. And, we have the opportunity to develop a regional resource center that will serve others outside of the community of Copey. 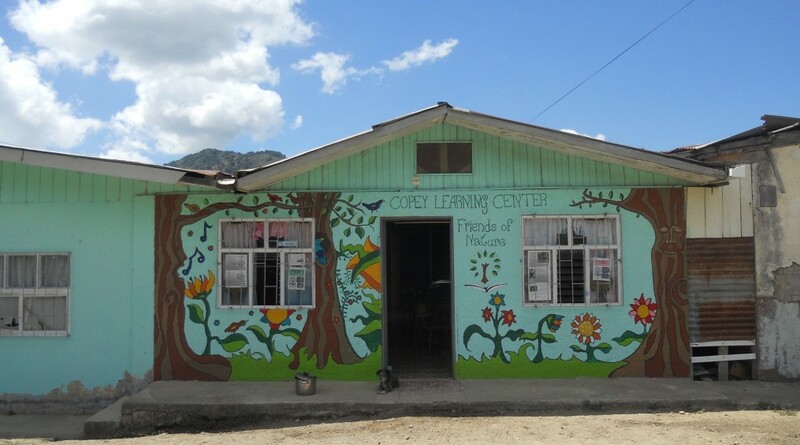 If successful, one day the Copey community will have a multi-purpose educational, cultural, and economic development center the community will proudly own and operate. I would like to close this Post with a quote I recently came across…I think it speaks to us about the “why” for some of the decisions we have made as “Friends”. “There was some very important work needed to be done. ANYBODY could have done it, but NOBODY did it. SOMEBODY got concerned because it was EVERYBODY’S job. But, EVERYBODY thought ANYBODY could do it, but NOBODY realized that EVERYBODY would not do it. It ended up that EVERYBODY blamed SOMEBODY when NOBODY did what ANYBODY could have done! As “Friends” let’s not be “anybody, nobody, or even just a somebody or just anybody”, let’s be “Friends of Copey”. Thanks to all!